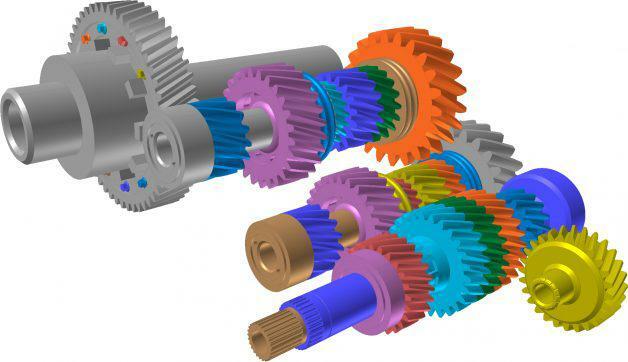 RecurDyn Gear provides the easier modeling and the analysis of complicated gear train system in the graphical user interface. RecurDyn Gear can analyze vibration characteristics and DTE (Dynamic Transmission Error) which is occurred from the real contact characteristic among gear teeth, considering user-defined backlash and tolerance. Also, the post-process function provides to check the information about the contact normal forces and friction forces in the contact point at each time step. Gears defined using ISO standard parameters such as module, pressure angle, number of teeth, etc.